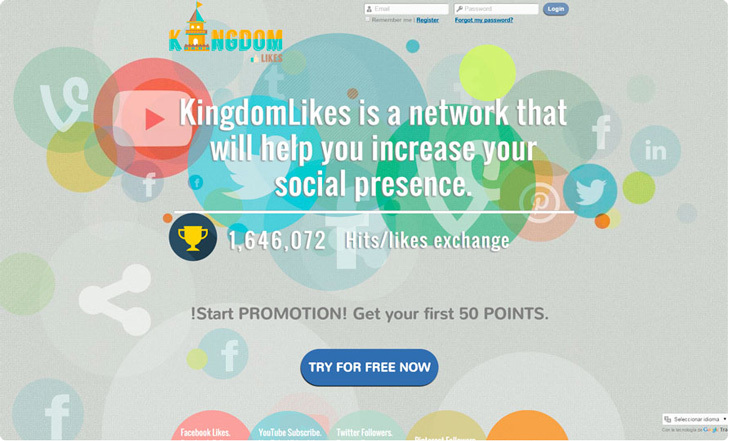 1.- First of all, go to KingdomLikes.com and register. Like in the image. 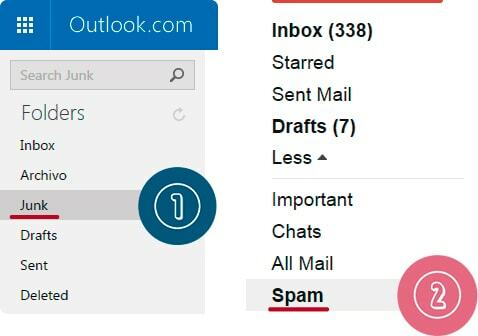 2.- You will receive an email to confirm your account, if you don’t have the email in your Inbox check the Junk/Spam folder or you use our tool “Re-Send Email Confirmation”, after you already used this and still not receive the email please contact us in our Center Support. 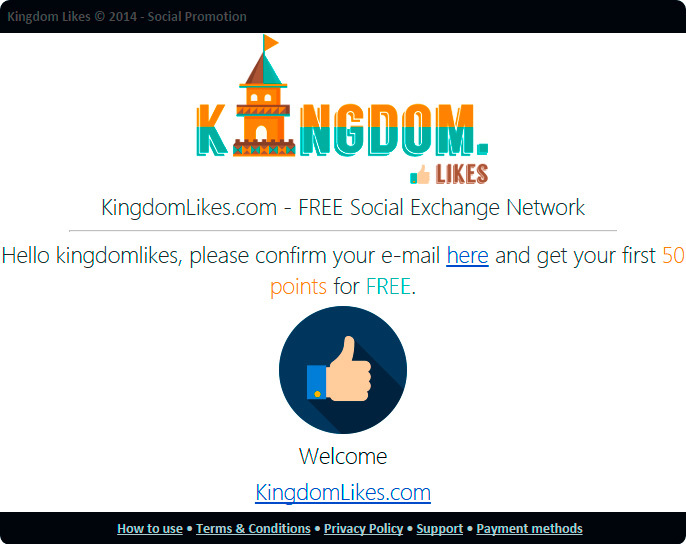 3.- Once you’ve confirm your account, log in on KingdomLikes and to add your Facebook Page you need to click on “Add Page”. 1. Click “Add Page” to add your Facebook Page. 4.- You will be redirected to a form, where you will enter the following data. 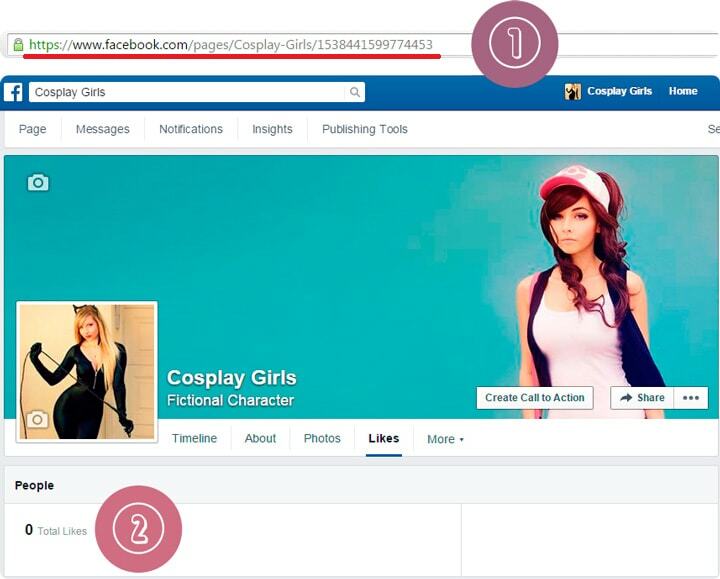 Type¹ : You need to select “Facebook Page Likes“. 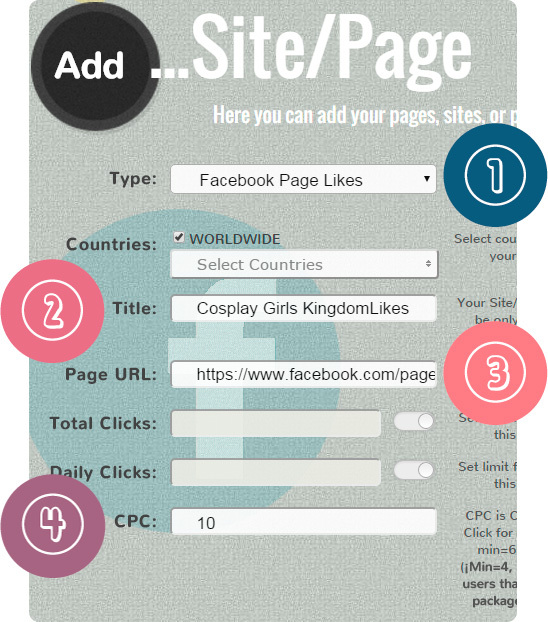 Page URL³ : Here is the URL of the page that you want to get more likes on Facebook. For this to works the Page need to be published. CPC : The CPC(Cost Per Click) is the cost (Points) of any like you get on your Facebook Page, I mean if you put 10, each like that you get will cost 10 of your points. 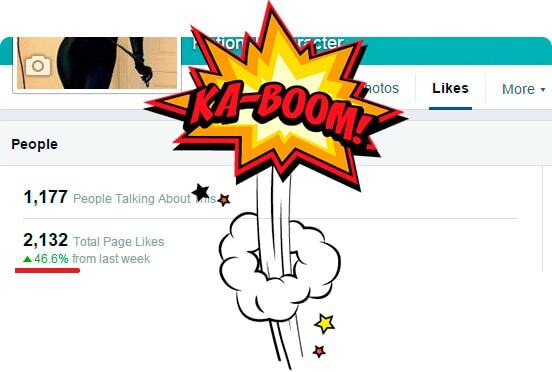 If the CPC is higher, you will get the likes more quickly. 1. URL of Page. 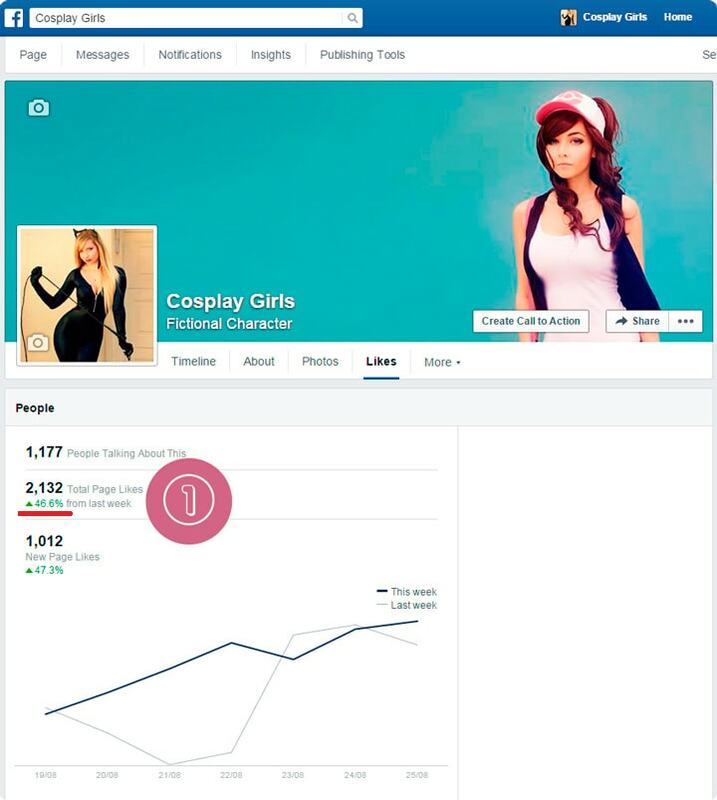 https://www.facebook.com/pages/Cosplay-Girls/1538441599774453?fref=ts if you want to review the number of likes. 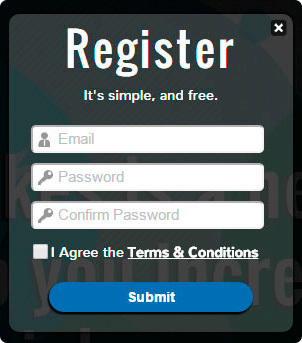 If all was successful, your site will be added like in the photo below. 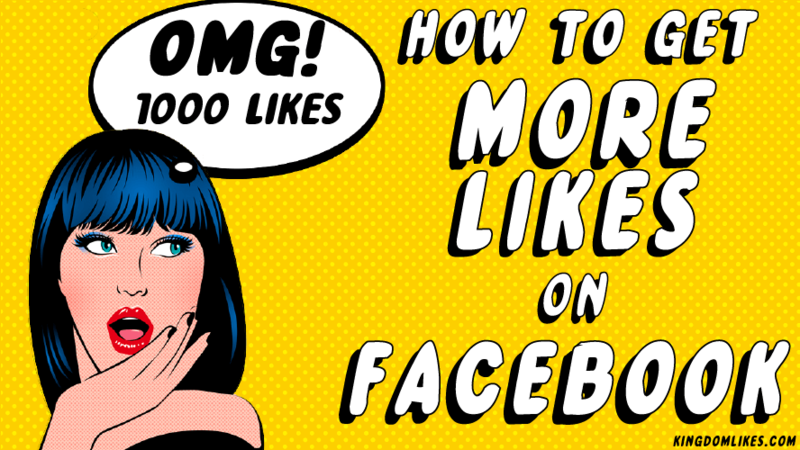 7.- Then you only have to wait a few minutes to get more likes on facebook page and you need have enough Points to get all the likes than you want on your facebook page. 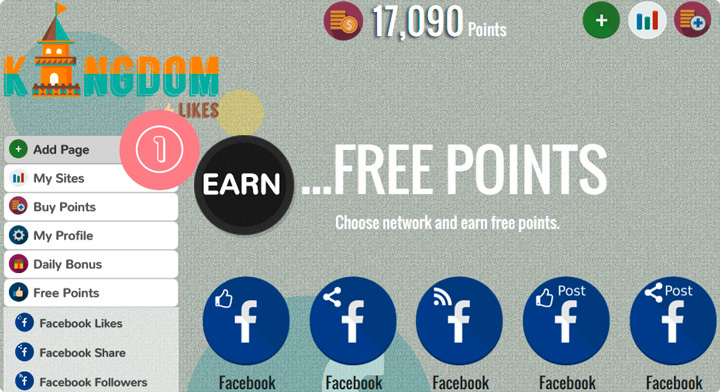 You can get Points for free by choosing some of the social networks in the “Free points” option and give likes, subscribers or views, whatever be the case, for example, if you choose “Facebook Likes” you were shown some Facebook Page, then click on the “Like” button and a popup will open, like the page or the photo and close the pop up, then the points will be added. 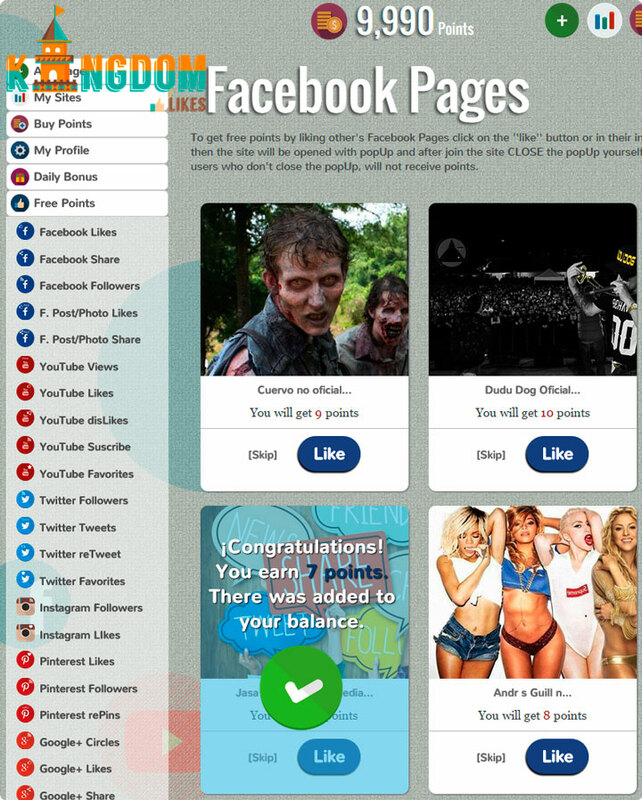 You can also buy Points, in the option “Buy Points” is an excelent and secure way to buy facebook likes because we have secure payment methods, all our likes are from real people and you get it in a very natural way also without spam than the autolikes cause. 8.- And in a few days, as you can see we get 2132 likes on our Facebook Page but yo can get 1,000,000 likes on facebook if you want with a little more time and if you have enough points.